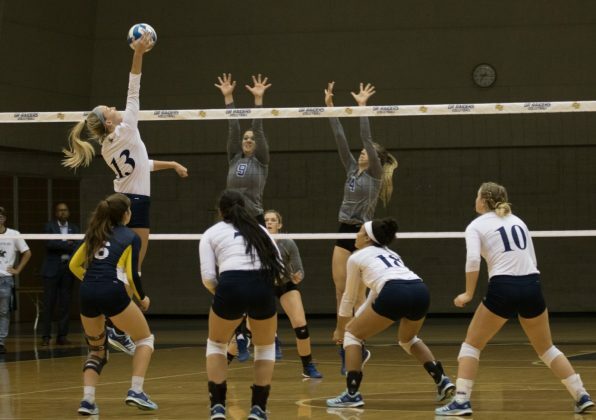 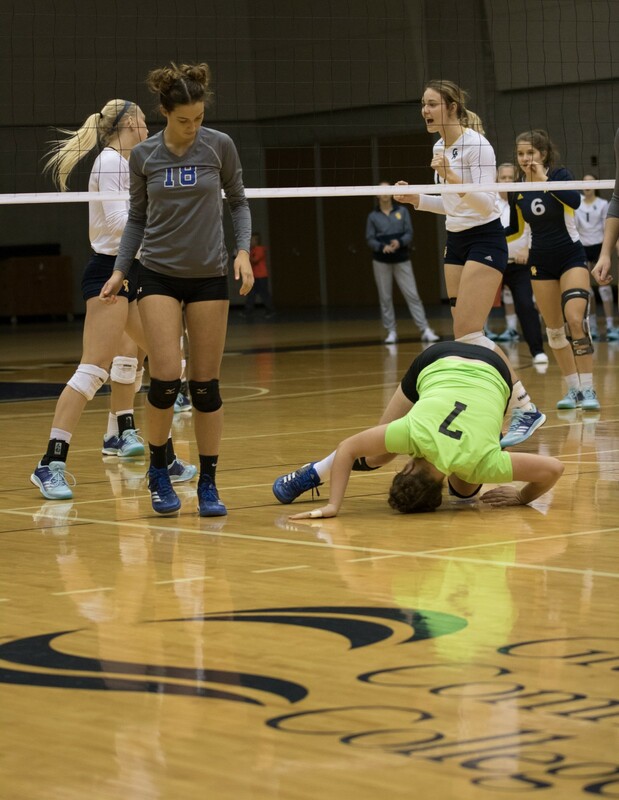 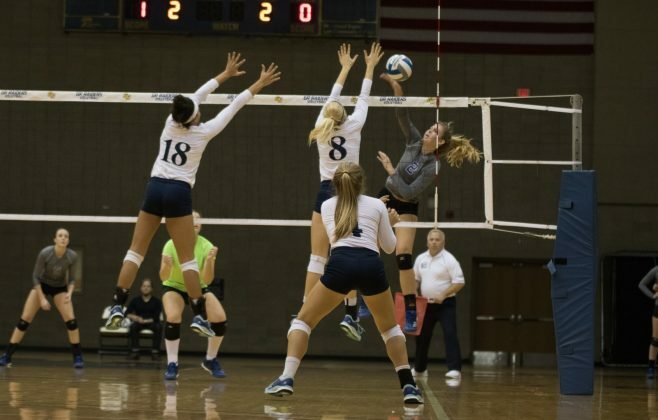 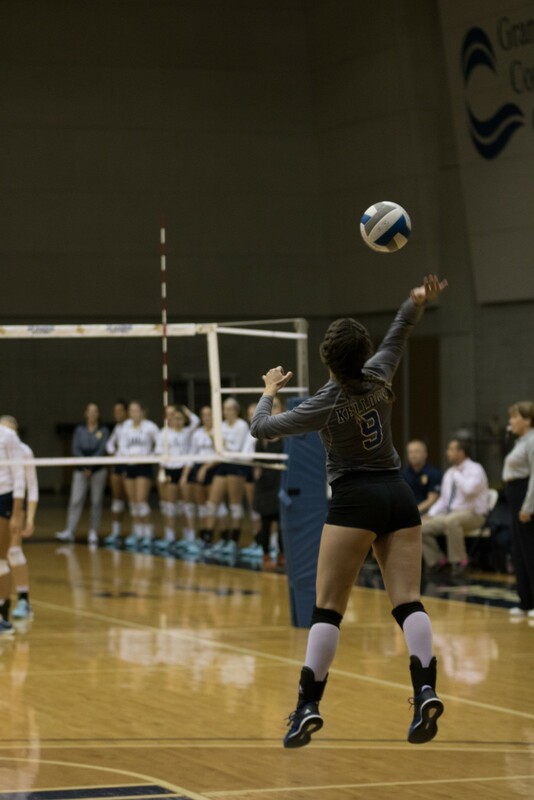 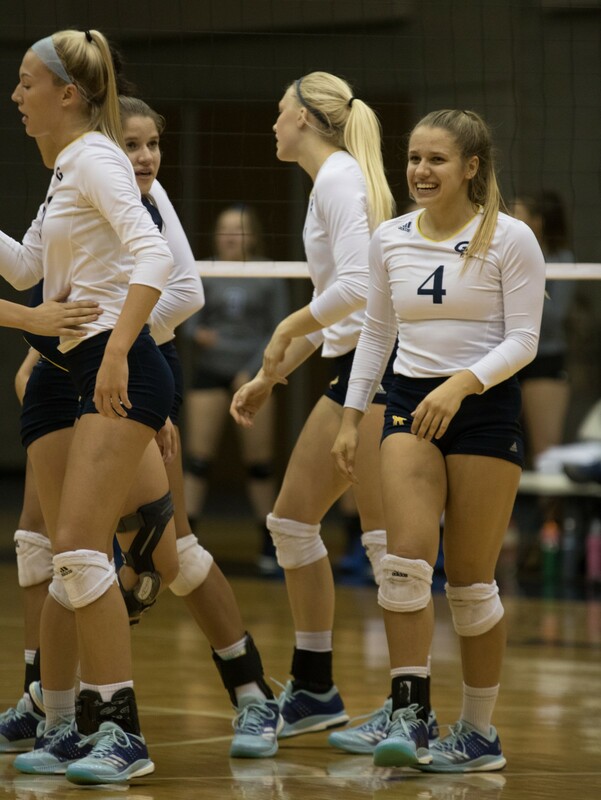 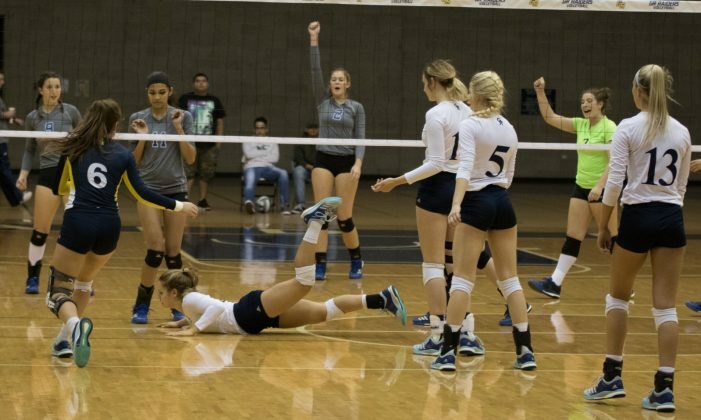 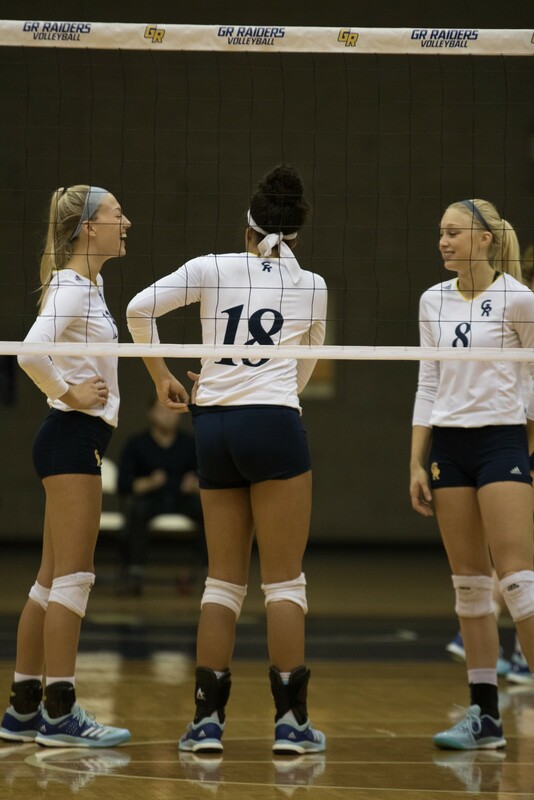 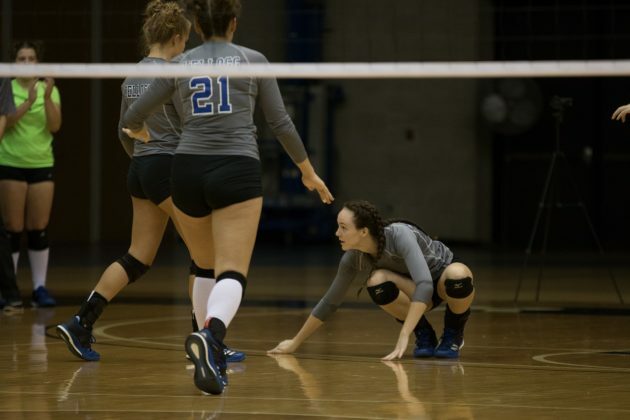 The Grand Rapids Community College Raiders squared off against the Kellogg Community College Bruins in a Michigan Community College Athletic Association conference match inside the Gordon Hunsberger Arena on Tuesday and won convincingly, 3-0. 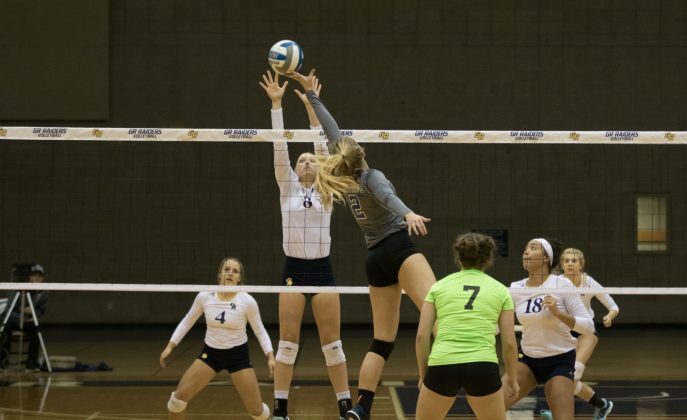 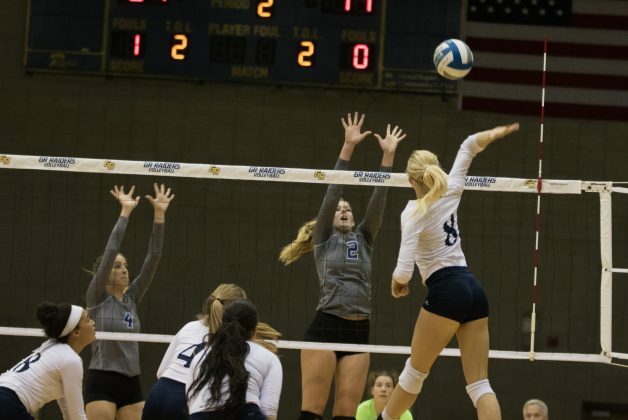 This brings their win streak to 22 straight matches and brings their “Magic Number” down to one to outright win the MCCAA conference championship. Middle Blocker, Hannah Stearns led the way for the Raiders in the first set with six kills. 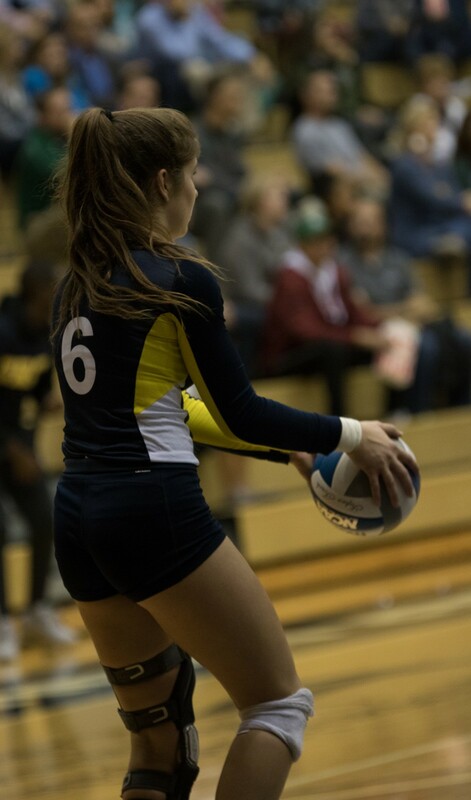 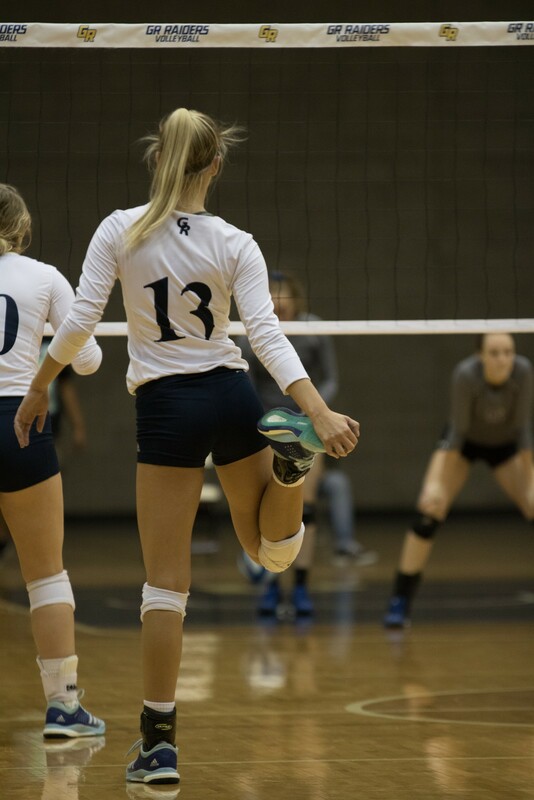 Outside Hitter, Kendra DeJonge followed closely behind with five kills of her own. DeJonge finished the match with a career high 24 kills. The typical dominance from the nationally ranked No. 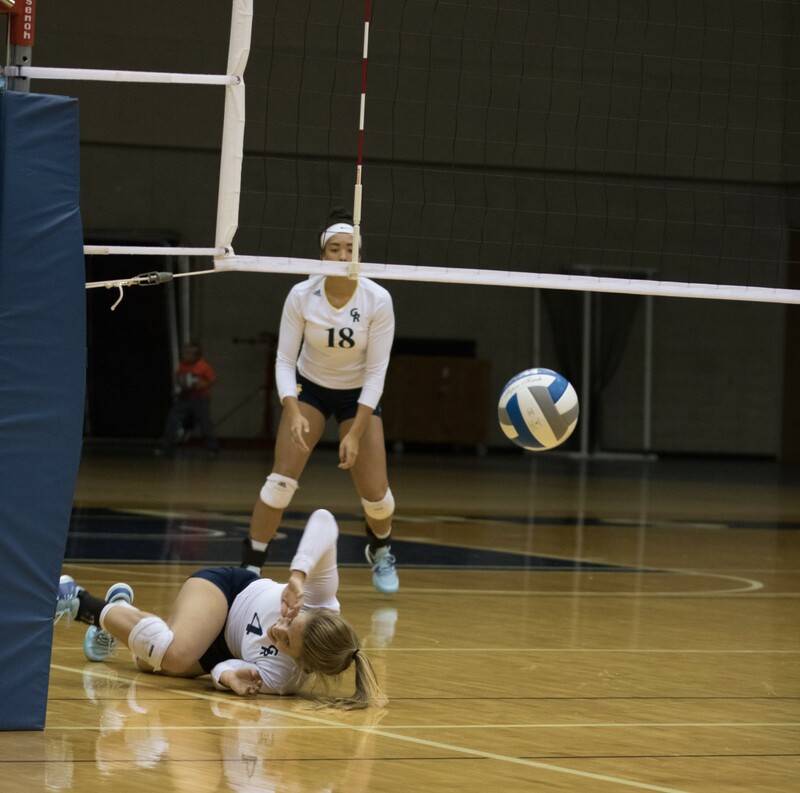 3 Raiders fluctuated during the first set, trailing 16-15 after leading by as much as six. 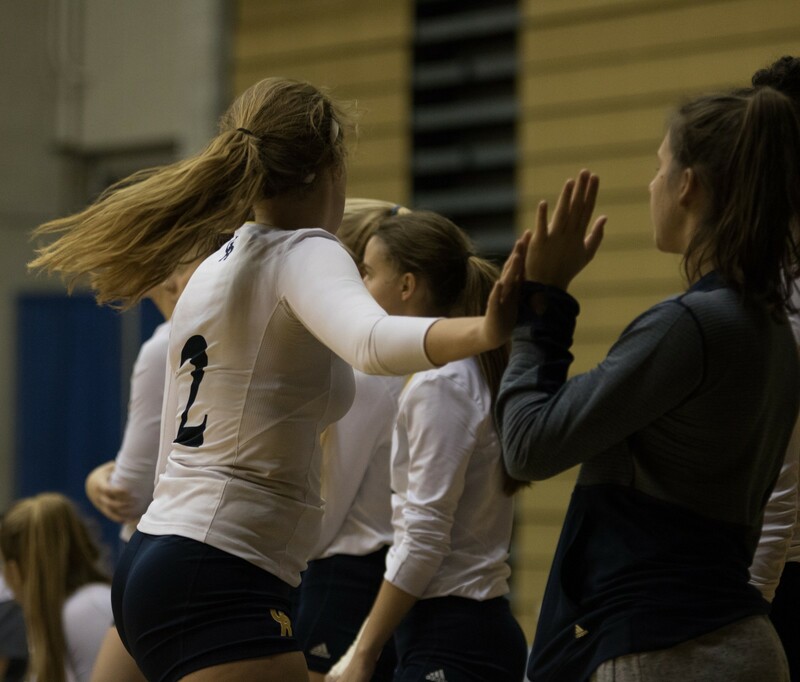 Head coach Chip Will called a timeout after the flurry from the Bruins and the Raiders won the first set 25-19. 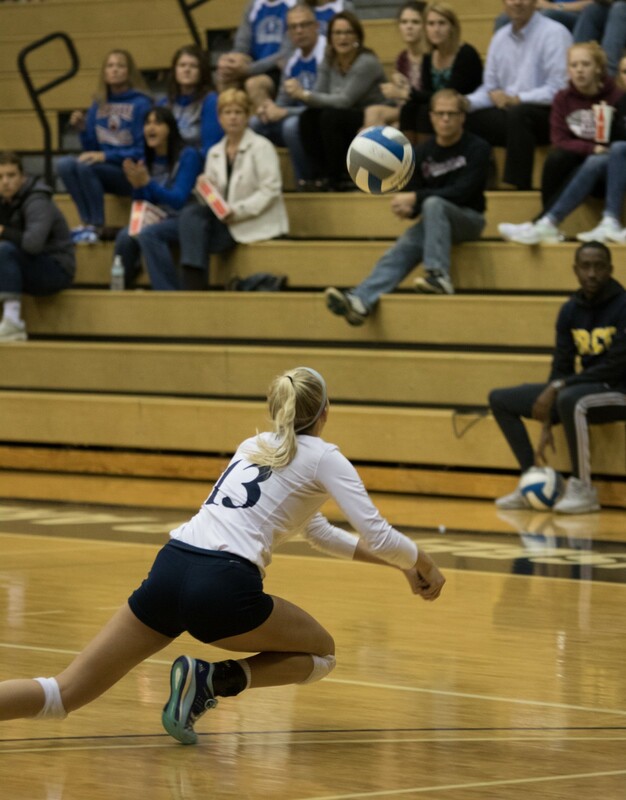 The second set was again dominated by Stearns and company as she had 11 kills and the Raiders took care of business and won the second set 25-20. 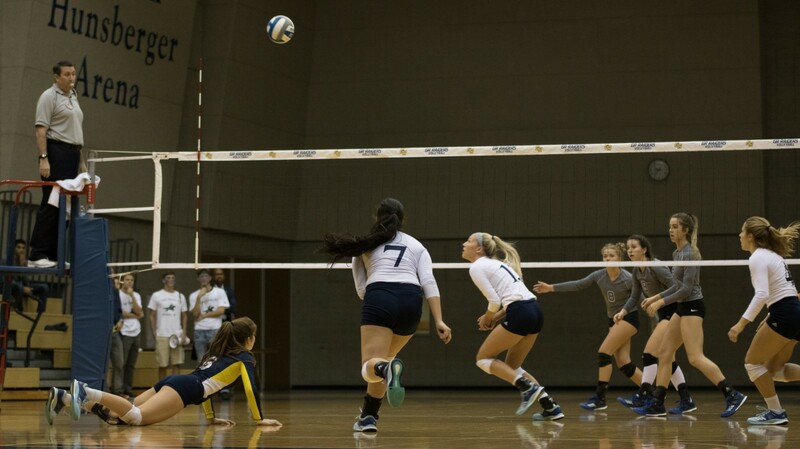 In previous matchups, Will’s squad struggled in the third set with a commanding 2-0 lead. They had the tendency to play complacent and would either allow their opponent draw too close or lose the set and extend the match to a fourth set. But that didn’t happen Thursday night. The Raiders have the ability to go to the floor and dig the ball as well as jump and block and used that ability to their advantage against the Bruins. 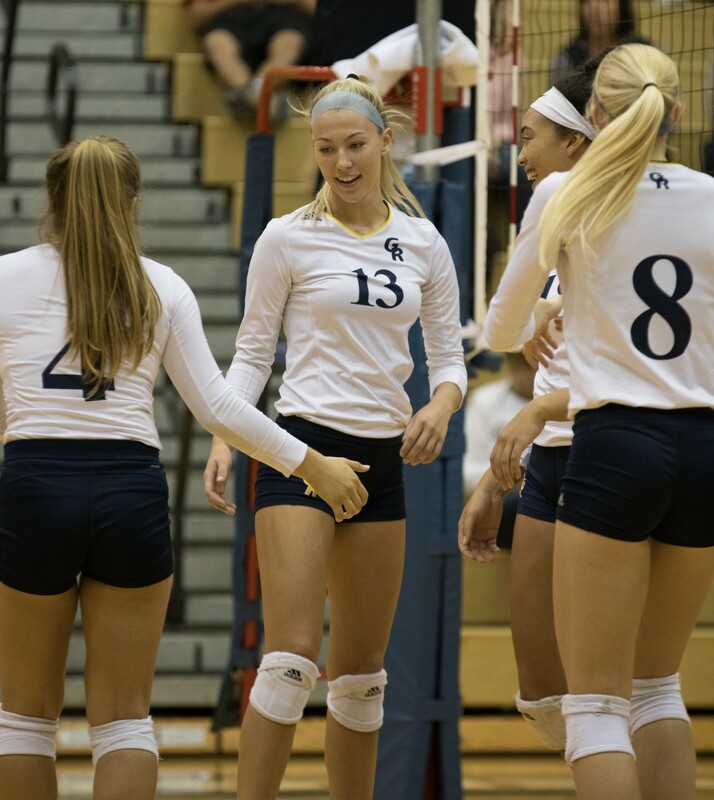 The Raiders changed the narrative in the third set tonight and dominated throughout, won the set and swept the Bruins out of Ford Fieldhouse. 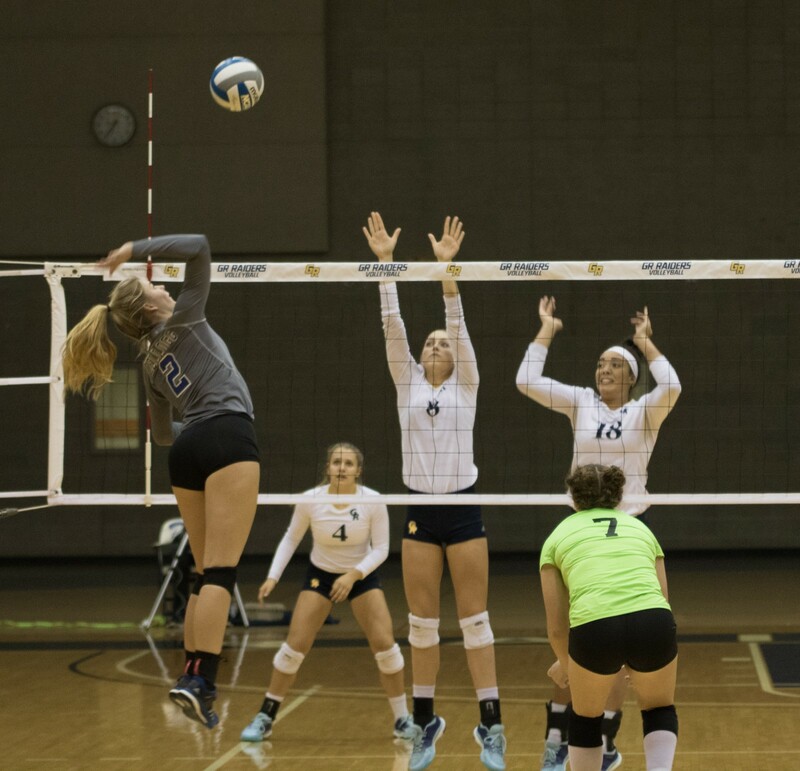 Will, Stearns and company can clinch the outright MCCAA regular season conference title against Ancilla College on Tues., Oct. 17 at 6:30 p.m. at Ford Fieldhouse.